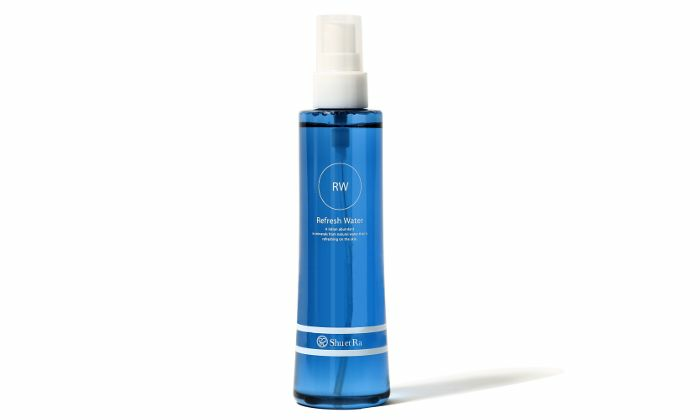 It is an oil-free, mist-type skin lotion made using a blend of deep underground water and alkaline ion water. Prioritizing gentleness to the skin, it does not contain any preservatives or surfactants. Water that is high in collagen flexibility with a good mineral balance has been selected. The lotion can be used on top of makeup, and can also be used along with other skin care products. Hold it about 15cm away, close your eyes, and spray it on your whole face. Lightly rub it in with the palm of your hands.